If you’re often rushing out the door in the morning, it may be hard to imagine waking up extra early to cook a healthy breakfast. You may be grabbing a not-so-healthy one through a drive-thru window or relying on donuts in the office breakroom, or you may be skipping breakfast altogether. The benefits of a healthy breakfast have been proven: more energy, better focus, maintaining a healthier weight, and the list goes on. So why is it so hard to actually do it? It doesn’t have to be! 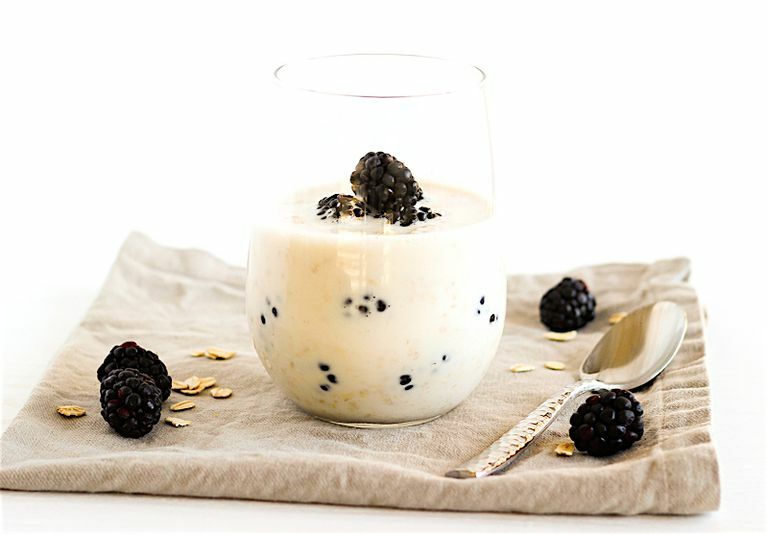 With this easy recipe for overnight oatmeal, all it takes is five minutes before you go to bed to have a healthy breakfast ready to go in the morning. Filling whole grain oats, creamy Greek yogurt, and fruit make this a light and nutritious meal that can be enjoyed either cold or warm, and the flavor options are endless, so you never get bored. In a jar or another container with a lid, whisk together milk, yogurt, honey, and vanilla. Stir in oats. Cover and refrigerate overnight or at least 6 hours. In the morning, stir in your favorite fruit and enjoy. I like to keep my overnight oatmeal simple with a little honey and vanilla, but feel free to add any spices or flavors you can think of. Cinnamon, fruit, nuts, and seeds are all great ways to spice this breakfast up! For a diabetes-friendly meal, omit the honey and use one packet of stevia instead. To make this gluten-free, be sure to use certified gluten-free oats. To serve hot, heat in the microwave 60 to 90 seconds, stirring halfway through. You can make two or three jars at once so that you have a few days’ worth of breakfast available.